The weather will be hot with a chance of showers in the afternoon. Let's sit under the trees in Union Square Park and draw: playgrounds, statues, fountains, gardens, activists, chess players, and people, people, people. If it rains we can sit upstairs in the Whole Foods dining area and look out on the park or go to Barnes and Noble or Strand Books and draw upstairs in the reading areas. 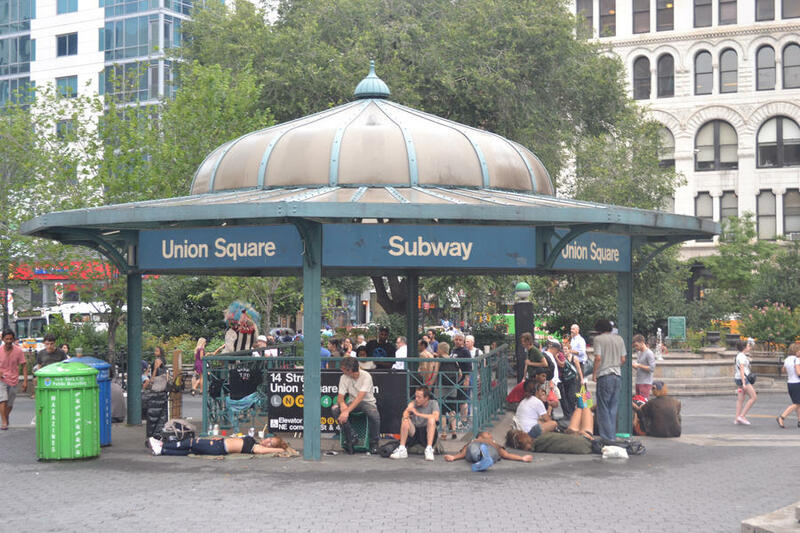 Location: Union Square Park on 14th Street near the Subway Rotunda on the southwest corner of the park.